Do your children have challenging behaviors that keep reoccurring? If so, you probably have tried numerous things that haven't worked: time outs, grounding, withholding privileges, taking away toys, taking away the computer, TV or cellphone, and talking about the problem. Nothing has helped! By definition, challenging behavior is difficult to solve. The reason nothing has worked is because the underlying cause of the problem has not been addressed. The trick is figuring out the root cause of the problem behavior. Dr. Ross Greene has worked extensively with kids who are acting out at home and school. Over the years he has developed an approach that leads to success with most of these kids. 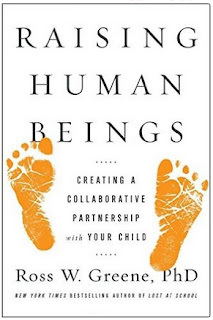 He discusses three options to misbehavior in his book Raising Human Beings. He refers to these options as Plan A, Plan B and Plan C.